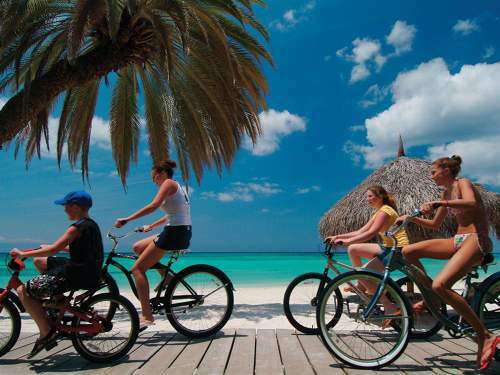 Aruba all inclusive resorts stand out because of some of the most beautiful natural areas in the world. Not all are fresh and many are starting to show their age. Others have been re-furbished well so look below for the best resorts in the area. The busiest time is from December until April with a significant price hike as a result with everyone elsewhere in North America and places beyond seeking to escape the winter cold. This makes the period from April to December an especially good time to visit. The weather is mostly pretty reasonable year round but may seem a little hot around September as the winds subside. Like a lot of the Caribbean hurricanes are possible but unlikely at this time of year. Most rain falls from October through to January but usually in showers and it is usually not holiday threatening. If you don't know much about Aruba, check out the Aurba guide below. This resort made it to the top of our list based on it's excellent reviews from past guests and variety of packages available. 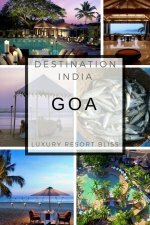 Along with the all inclusive package, there are also wedding, honeymoon and romance ones. 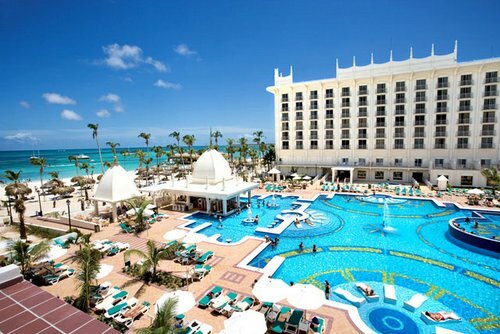 It's definitely one of the best Aruba all inclusive resorts. Location: Centrally located in Aruba, 5-minutes drive from downtown Oranjestad on (across the road from) the fantastic Eagle beach. Rooms: 72 spacious air-conditioned studios, one and two bedroom suites. It's an intimate resort and set in colonial Dutch architecture. Reviews: Past guests love this resort. They like that it's less expensive than other resorts in the area and the great location. Eagle beach is among the best in the world. The free beach chairs and cabanas are a hit and it's not crowded. 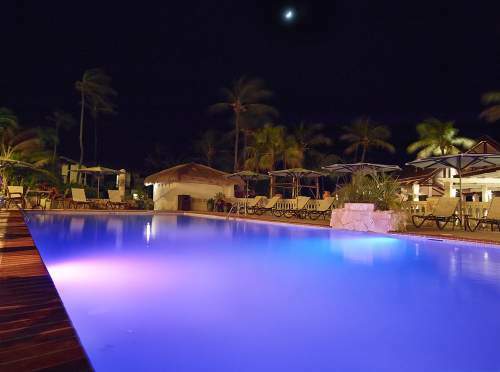 Another small intimate hotel on Aruba's largest beach with excellent reviews from past guests. All inclusive includes swimming, scuba diving, windsurfing, golfing. Other amenities include the exotic full service Caribbean Balinese spa facility, daily a-la-Carte meals, unlimited hbuse Brand beverages, beers, wines, liqours & cocktails; one off-property dinner per stay, and restaurant & bars service charge included. Rooms: 71 tropically decorated air-conditioned rooms with ceiling fan, refrigerator, coffeemaker, microwave, flat screen LCD TV. Reviews: This resort was appreciated by those who like a little quiet and class. Views were awesome for any price. Many guests return multiple times (even 20 times - yes, really), the staff are lovely, and the beach is right there. 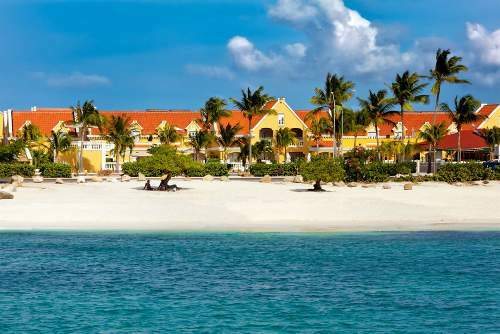 Location: Aruba's exclusive Palm Beach. Oranjestad offers shopping, dining and nightlife within five miles. 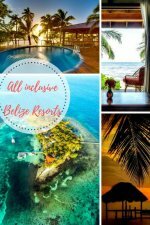 All Inclusive activities include water polo, water aerobics, sailing, snorkeling, kayaking, tennis, SCUBA clinics, fitness room, pool and beach activities plus heaps of other options / honeymoon /dive / packages. Resort highlights: adult oriented, swim-up bar, casino, nightly entertainment, golf nearby, disco and DJ, many water activities, free wireless Internet. Rooms: 380 rooms and suites with balconies or patios, shower/tub combo. What reviewers say: pool lounge chairs are very busy, great personal service and attention to detail, "top notch", great with a large group, beautiful, professional service. 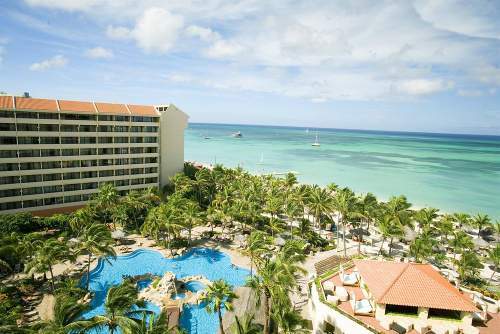 More reviews, information and special offers for the Barcelo Grand Aruba All Inclusive. 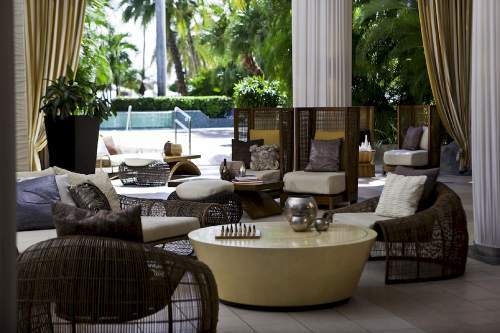 Location: on Palm beach all inclusive includes entrance to the casino entertainment, sports beverages, taxes and gratuities. Amenities: Gym, beach volleyball, workout, a gym, Sauna and jacuzzi, Entertainment program and more. Lots of restaurants - fusion, Japanese, Italian. Rooms: Two 10-story buildings, one 8-story building. Reviews: Guests were impressed with the service and the food. Nice also to get a new resort in Aruba seeing as many are old and run down. See the latest reviews here. Location: Next to and within access to Tamarijn Aruba All Inclusive in a Dutch village five minutes from Aruba's capital city. Rooms: 203 spacious, air-conditioned guest accommodations steps from sands and pools with patio or balcony. Amenities: All inclusive can include golf and spa options as well as 10 dining options, unlimited beverages at 7 bars, 3 freshwater pools, non-motorized water sports, bikes (child, youth, and adult sizes), tennis courts lighted for night play (at the Tamarijn Aruba), Divi Winds Sports Center with 30-foot rock climbing wall and fitness center. Reviews: Honeymooners and family vacations will do nicely here. Past guests love the great beach, staff are nice and helpful, great lively music, and low-key atmosphere. Past guests with weddings here have also given it great reviews. It does well for big groups. 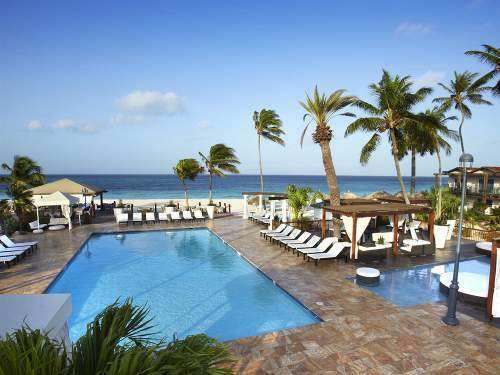 Special offers, reviews and more information for Divi Aruba All Inclusive Vacation Resort. Location: Beach side resort located just five minutes outside Oranjestad, just ten minutes from the Queen Beatrix International Airport. Amenities: all meals, snacks and beverages are included. You'll find seven bars and lounges, non-motorized water sports, golf, spa and full use of the adjacent Divi Aruba All Inclusive. Rooms: 36 oceanfront air-conditioned all inclusive accommodations in two-story buildings each on the water’s edge with patio or balcony and air-conditioning. Reviews: Friendly staff are great with smaller children. A clean safe and spacious beach is a good asset. Good overall standard and better the average by far. A tip from a past guest: try and reserve a spot at the restaurant you like a few days in advance. Located in Oranjestad (capital) on the beach. This resort has a private island also. There are 2 resort buildings and areas: adults only and families. There's a shuttle between buildings and to the private island stop. Entire resort open to both groups. The Family building and resort area (Ocean Suites) has: a movie theater, children's club, free form pool, swim-up bar, artificial saltwater swimming lagoon, casual casino, 40 shops, 15 restaurants. There is also the Patamingo Kids Club. Reviewers say: really nice, beautiful, part of Marina Hotel in downtown Aruba, some views are not so great, some say great service and others say not. 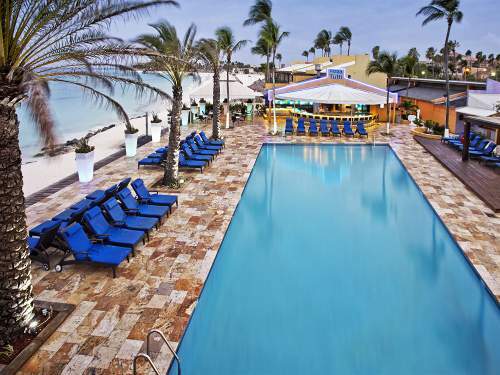 See the latest reviews and get more information for Renaissance Aruba Resort here. Still looking? 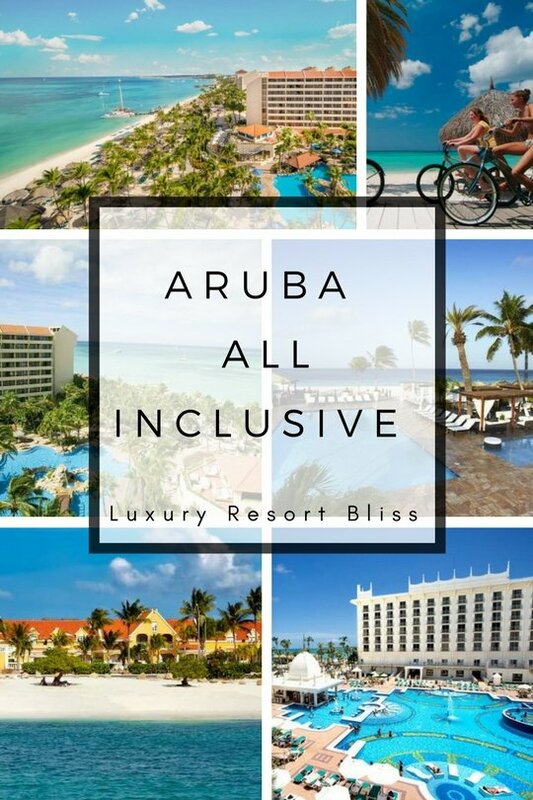 You can take a look at what Tripadvisor is saying about resorts in Aruba, Aruba luxury resorts, or you can visit more all inclusive resorts in the Caribbean.